Moving into a new house is surrounded by as much consumer fanfare as a new baby. There’s a temptation–and a goading by the likes of HGTV–to buy all new furniture, renovate immediately, and deck every wall in a trendy palette. But this urgent wish for everything to be precisely perfect is detrimental to both budgets and longterm planning. Hard as it might be, the frugal route is to bide your time. Before we moved into our first home–the one in Cambridge that’s now a rental property–Mr. Frugalwoods and I put together a massive list of upgrades we wanted to do to the house. Urgently. Ideally before we moved in. Thankfully, we restrained ourselves because after living in the home for six months and then a year, our thoughts on what we wanted to do to the house changed radically. Had we rushed into all the renovations we thought we wanted, we would’ve wasted thousands of dollars on upgrades that, as it turned out, weren’t necessary. Nothing ignites home improvement fever quite like a new house (or apartment or condo or townhouse). It’s the adrenaline of new and the pressure to “create your dream home” that’s levied by marketing and the media (not to mention HGTV… ). You know how I advocate waiting 72 hours before purchasing anything? I do that because it enables a cooling-off period–a time to reflect on whether or not you actually need the item you’re lusting after. I also recommend it because–more often than not–those 72 hours will elapse and you’ll realize you don’t need the thing you so desperately wanted after all. It’s the same situation with home improvement projects except that the waiting period is longer. I recommend waiting a full year before diving into any home upgrades that aren’t strictly necessary from a safety perspective. This year allows you to live in your home, assess how your family uses the space, and then select paint colors and bathroom tiles with a full twelve months’ worth of data. Renovating immediately is flying blind–you’ve never lived in this home before and so you’re basing your improvements off of what has worked for you in previous homes and previous iterations of your life. Waiting provides the opportunity to strategically plot what’ll be best for you in the longterm. This year also gives you the opportunity to remove the compounding stress of moving coupled with renovations. Moving is its own fresh hell, so why stack on the trauma of renovating your kitchen and ripping out carpet at the same time? Get the move over with, get settled into your new life, and then consider what changes you might like to make. Plus, buying a home is expensive–between a down payment, closing costs, and moving expenses, you’re likely to be out quite a bit of liquid capital. And paying for elective renovations with anything other than cash is folly. Cosmetic updates to a home are luxury purchases and should be paid for like any other luxury: in full with cash. If you can’t pay cash, then you can’t do the renovation. This yearlong moratorium will allow you to shore up your cash reserves and rebuild your net worth. Babywoods’ room of hand-me-downs and trash finds! The caveat here, of course, is if you purchase a home that requires a gut renovation before it’s safely habitable–that’s an entirely different can of beans. Another caveat is if the flooring is in atrocious shape and needs to be removed/refinished/redone for safety/health reasons. It’s a lot easier and cheaper to redo a floor before you move all of your stuff in on top of it. Waiting to renovate also creates a spirit of gratitude for what you already have. Just owning a home is a tremendous privilege and I find that when I allow myself to settle in and appreciate that fact, I’m thankful for my house as opposed to endlessly identifying its faults. Because no home (or person or situation or life) is perfect. There are idiosyncrasies in every house and things that might not be precisely to our taste. But reflecting on the blessing of having a safe, clean, warm place for my family is a profound lesson for me in my effort to live out gratitude instead of a constant desire for more. Plus, waiting makes it more likely you’ll DIY the project, which’ll save money and teach you a new skill set. 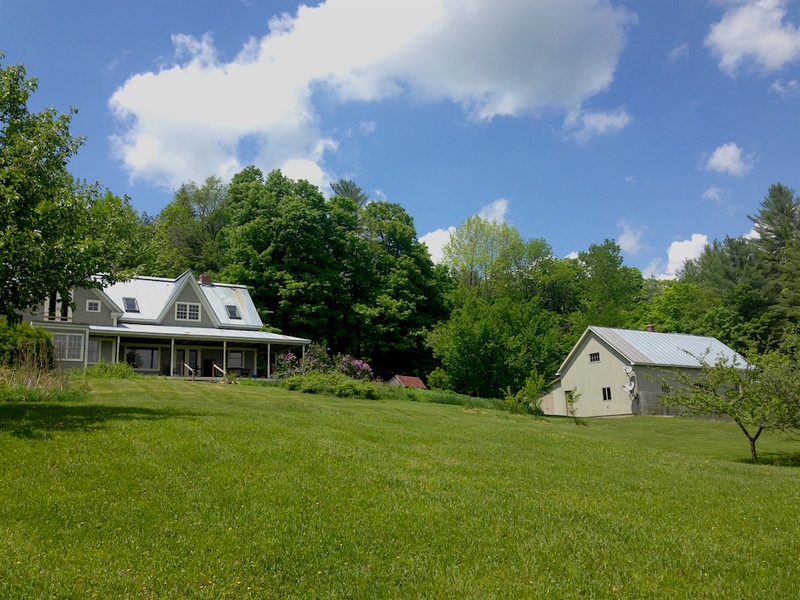 Almost a year has passed since we moved into our homestead here in Vermont and we haven’t done a single thing to the interior (or exterior, for that matter) of this house. Not so much as a lick of paint has graced its walls. 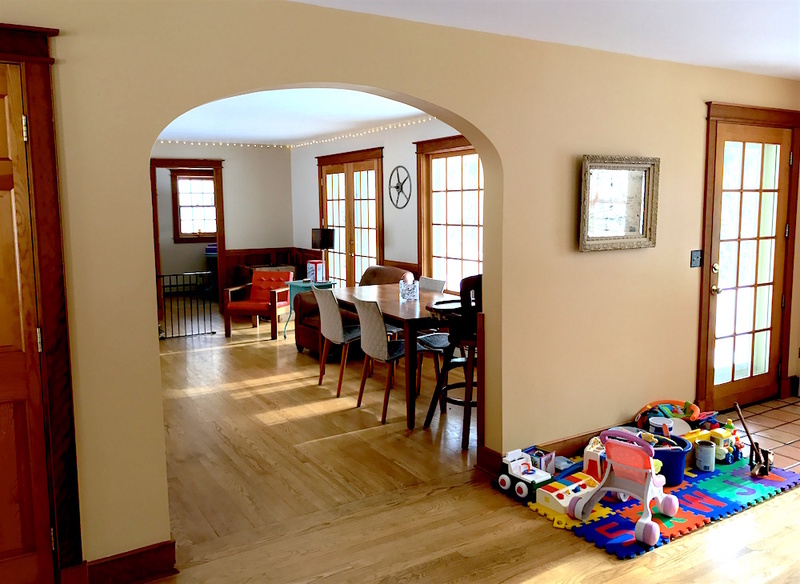 We haven’t even patched the many nail holes and other wall maladies… Other than move in, clean periodically, hang a few pictures, and perform small maintence necessities, not to mention baby-proof… the house is untouched. We have grand plans for this home–our likely abode for many decades to come–but we’re biding our time. Before moving in, we were mired in an overwhelming list of potential projects for this house. But now? After ten months of actually living here? Our priorities have narrowed and come into focus. Plus, we’ve already changed our minds about several upgrades that we both thought were “mandatory.” For example, our washer and dryer. 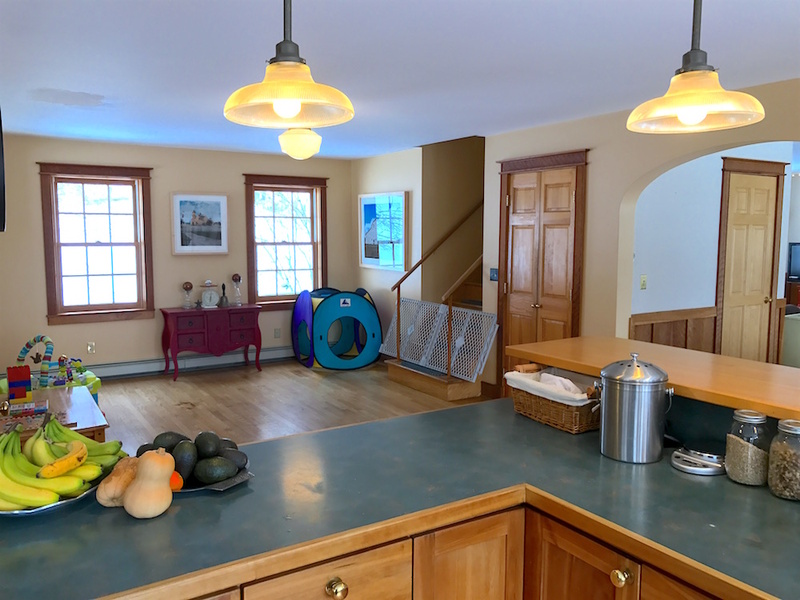 The washer and dryer in our Vermont home are located in the main floor half bathroom. I thought this was odd and wanted them migrated down to the basement ASAP–ideally before we moved in. After all, my washer and dryer in both Cambridge and DC had been in our basement and I liked it that way. Well. A cooler head (aka Mr. FW) reminded me of my waiting period rule and adamantly refused to relocate the washer/dryer before one year elapsed. Good thing he intervened because as it turns out, I absolutely love having the washer and dryer on the main floor. Why? Because I now have a toddler. Since the main floor bath is open to the rest of the main floor, I can do laundry and keep an eye on Babywoods while she plays. This would not be possible if the washer and dryer were in the basement. Before moving in, I was calibrating my wishes off of not just our previous homes, but our previous child-free lifestyle. Moving a washer and dryer is not a terribly expensive or un-doable renovation, but it would’ve been a hassle and it’s a great illustration of how our perceptions change after we’ve lived in a place for awhile. It’s often possible to ameliorate an immediate concern with an inexpensive temporary fix before diving into a full-on renovation project. Take our living room, for example. It has no lights. And it’s a big room. We don’t own many lamps, but I put all two of them in that room in an attempt to brighten things up. This approach worked well enough during the summer months when the sun stays out until about 9pm. But in the winter when the sun sets at 5:00pm? It was getting pretty dim in there. This room contains the woodstove–as well as our dining room table and couch–so we tend to spend a lot of time there. In the long run, we’re thinking of installing sconces or perhaps an overhead light or two. But those are fairly involved, expensive projects. And so, we came up with the immensely cheap solution of hanging LED Christmas lights around the perimeter of the room. Unconventional? Yes. Tacky? Perhaps. But the lights create a cozy, whimsical feel and give the room a wonderfully warm glow for a mere $14.99. Mr. FW and I have decided that our priority is renovating the kitchen. We had our eyes on revamping this kitchen from the start, but we decided to wait and see if that desire held up. It has–and it has intensified–so it’ll probably be the first major project we tackle. By cooking in this kitchen every single day for ten months, Mr. FW has developed a clear sense of how he’d like to redesign it. Without this data, he’d be reliant upon other people’s conceptions of kitchen design–not necessarily what’s most conducive to his cooking work flow. One discovery? The pantry is located a long distance from the prep area, so you have to circumnavigate the kitchen to grab ingredients. If we instead cut another entryway into the kitchen, the chef’s path to the pantry would be direct as opposed to circuitous. Before moving in, our desire for the kitchen to be more efficiently designed was lost in our tumult of project ideas: renovations for all three bathrooms, wall painting, and doing something about the ugly handrail on our staircase. After a year, thanks to the wisdom granted by time, those other projects have faded in urgency and the kitchen has surfaced as goal number one. I’ll confess to you right now that we broke our one-year waiting period rule for one thing: a dishwasher. This house, for some bizarre reason, lacked a dishwasher (and no, modern dishwashers are not bad for modern septic systems). We decided to try out life without a dishwasher and for five months, we hand washed every single fork, baby cup, bottle, plate, pan, pot and spoon. And we both agreed we wanted a dishwasher. Really, really badly. Like really badly. After confirming our fervent desire for a dishwasher, we got into an “if you give a mouse a cookie” conversation where we reasoned that, if we were going to add a dishwasher–which would require reconfiguring the kitchen slightly–why not just redo the entire kitchen? But we backed off and realized we could meet our need for a dishwasher without prematurely taking on the whole tuna. We did this by accepting the imperfect. By being at peace with a slight oddity in our kitchen. Because in order to squeeze the dishwasher in next to the sink, Mr. FW had to cut out several cabinets, which meant that their accompanying countertop went along with them. And so, we now have a dishwasher that lacks a countertop above it. But you know what? It works just fine! Waiting also allowed us to get a deal on our ‘washer. Mr. FW went to Home Depot, selected the model he liked best, and then searched the internet to see if it could be found for less. Lo and behold, it was a lot cheaper from AJ Madison. And yes, he did this all on his own because he installed the dishwasher as a surprise for me when I returned from my extended trip to CA to visit family with Babywoods. In addition to the temptation to knock down walls and rip out bathroom sinks, I find that every single time we move (5 times in the last 10 years), I am beset by an obsession with furniture and decor. And every time, I remind myself that empty space is not a sin. There’s no reason I need to fill up every room the instant we unpack. When we moved from Washington, DC into our home in Cambridge, we had about six pieces of furniture (one of which was a folding table and another of which was an air mattress). But we didn’t rush out and put a bunch of brand new furniture on a credit card. We slowly built a collection of Craigslist finds, garage sale deals, hand-me-downs, items from my Buy Nothing group, and roadside treasures. In a desperate need to get off the air mattress, we did buy a mattress on Amazon for $279, which I gave a five-year update on the other week. By taking the leisurely route to home furnishings, we spent well under $1,000 to equip our entire home with tables, chairs, beds, dressers, a couch, and wall decor. We’re following that same trajectory once again. Our current home is quite a bit larger than our Cambridge home and so, we’re the lucky owners of some empty rooms. And you know what? That’s perfectly fine. There’s no empty room police that’s going to come fine me for having nothing but some baby toys in what is ostensibly a dining room. Sure, we could afford to furnish many houses over, but to what end? To have all matching, brand new furniture? Boring, I say! I’d rather wait for the serendipity of used items to come my way. Plus, it gives Babywoods and Frugal Hound plenty of space to romp. At some point, we will find furniture odds and ends either for free or for cheap. Just the other month someone in my parents’ group was cleaning out their basement and offered up a free coffee table and side table, both of which I gladly took. In addition to the money this approach saves, I find it’s a more interesting way to live. Anyone can copy and paste showroom furniture, it takes a special kind of frugal weirdo to cobble together an eclectic array of turquoise end tables, orange chairs, and red sideboards. I’ve also come around to an element of minimalism in my home furnishings. 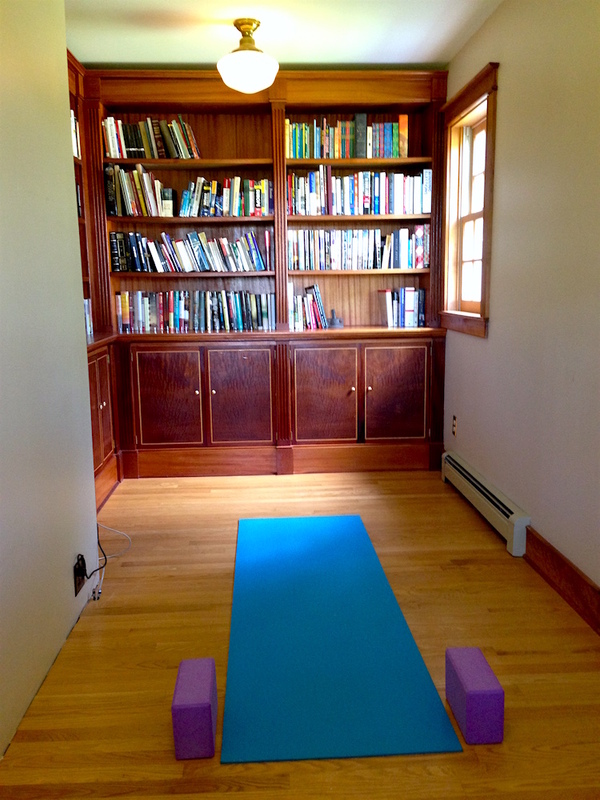 When we moved to Vermont, I made the decision–as we were unpacking–to only unpack things that we use and like. Gone were the decorative throw pillows on our bed–all they did was take up my time (removing them at night, storing them under the bed, putting them back on in the morning… ) and clutter up our space. Gone were elaborate candle centerpieces that always got in our way on the dining room table. This approach means we need less, the house is easier to clean, it’s not cluttered, and principally, our living space is in full alignment with our current phase of life, which is that we have a 16-month-old. Rather than chase after Babywoods all day long in an attempt to save delicate vases and prevent her from eating decorative pebbles and knocking over tippy end tables, we’ve fully baby-proofed the areas of the house she hangs out in. Makes our life easier and gives her more freedom to roam and explore her surroundings. A reader recently asked me how I found inexpensive rugs to cover our wood floors to which I responded that we don’t have a single solitary rug in our home. Why? They are expensive, I like how wood floors look, and it’s a lot easier to clean without rugs. Neither Mr. FW nor I are rug fans, so we just don’t have them. Easy as that. I have a foam mat for Babywoods to play on and now that she’s walking, I imagine she’d just trip over a rug if it was there. Being content, at ease, and happy in your home is something I consider supremely important–especially for frugal weirdos who tend to spend a lot of time at home. But having a comfortable home doesn’t require expensive furnishings. Have the things that you enjoy using and don’t worry about what a home is “supposed” to look like. You live there, random other people do not, so make it work for your needs. The compulsion to perfect a home the minute you take up residence is a natural extension of our desire to nest and create a safe haven. But don’t lose sight of what you need in your home versus what you want. And let that year elapse to give yourself the time, the experience, and the money to perform the renovations you’ll enjoy for years to come–not the upgrades that spring to mind before you move in. How do you combat the urge to renovate immediately? I think we’re in the opposite position as you– we lack storage and we’re in a tiny place so it is problematic (so if I want to rush out and buy anything, it’s just storage cabinets). Like you, we have been in our house for over a year and have learned that we would like to change our kitchen too (not the design per-say, but the layout). The way the kitchen is arranged with entryways (back door and door to dining room) diagonally from each other, our kitchen basically has two walls of wasted space. If we could make the entryways straight across from each other, we’d get a U-shaped space which would allow for much more storage and countertop spaces, something we’re severely lacking. We’ll have to wait a lot longer though, as the kitchen was recently remodeled before we moved in so I’d hate to toss the counters and the cabinets. But like you say, living in the place for a while teaches you what would work best! Our first house we had a laundry list of “this has to change”. 8 years later when we moved out, we had only done two of them (ripped up disgusting carpet and laid laminate; and lots of painting), and we did 1 more to help with the sale (changed out the gross bathroom counters with marble ones we were given by someone who was also remodeling)- wish we would have done that one sooner, it looked so much nicer. 🙂 It’s amazing what you can live with when you don’t want to spend the money! Our current house we are 3 years into, and we haven’t done a thing. The empty rooms have almost all managed to fill themselves in that time- the final empty room will likely fill itself in short order (husband has been wanting a pool table, I keep saying “lets wait to see if we have kids”)- well kiddo is on the way, and I suspect a ‘toy room’ is going to be happening. “You live there, random other people do not, so make it work for your needs.” That is so true! Our dining room table was free from Mr. FT’s mom along with the mismatched chairs that she got from the hospital she worked at. They were going to get thrown out, but she knew one of her kids would use them at some point, so she took them home with her instead. They work just fine for us! I’m horrible at deciding how things should look and I hate interior decorating, so I have no problem leaving houses the way they are. It has saved me a lot of money! Whenever I am beset by House Envy, as in, the clearly-expensive, gorgeous upgrades people do to their homes with seemingly limitless cash, I remember that for many of them, they are deeper and deeper in debt. We have incurred – through generosity of parents and our own savings – no debt at all, and though there are clearly things that could do with being done (paint peeling off the outside walls, lovely, and a seriously hideous old main bathroom), everything functions, is watertight, safe and not a hazard in any way. Same applies to our tired cars. Yes, we could go into hock for at least one new one, but since the one in question has been very reliable, is relatively inexpensive and simple to maintain… why? For what reason? Envy. That’s all. Just seeing what others have and wanting to have that too. Your home is beautiful, Liz! You’re smart to take your time living there before making any changes. My mother had always wanted cheerful red curtains in her kitchen. When we moved to the city, my father had to fix pipes in the kitchen ceiling ( immediately) and it caused major upheaval since we’d just moved in. When he was finished, my mother ran out and purchased her red curtains. Unfortunately, they didn’t work well in that particular room with the lighting. The room was very dark, it ‘glowed’ red & she changed the curtains within a year to a cheerful yellow that brightened up the dark room. If she had waited a few months, she’d have known the room tended to be dark. Love your website. I completely agree. Sometimes we confuse what we want with what we need. My husband and I moved into a new apartment and it is still mostly empty. I have given upon the whole “matchy matchy” nature of furniture. One- it is terribly expensive and two- it can come off as cold and without personality. I have a love/hate relationship with HGTV. What they do put together is beautiful and clutter free but alas life is not so. 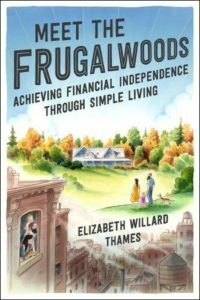 I love this post, Mrs. Frugalwoods! I just wrote about our bathroom renovation, which we waited three years to do. I’m so glad we waited, because we had time to think about the best place to put the bathroom and learn our house. The only potential problem (or not!) is that for projects that you say you’re going to get around to, you don’t, at least in our case. We have delightfully holey walls, imperfect paint, and other small fixes we haven’t gotten around to in five years. But our eyes no longer see those little flaws and since there’s no urgency, we happily live with our house as-is. I agree. Live in your home for a while before you start tearing things out, if at all possible. The home will tell you what it needs….sounds corny, but I think I need to “feel” the space and listen to the walls, so to speak, and then decide what’s best. Sometimes it’s not even about the money. Like you said, you can afford to do what you want. But, it’s more about making good decisions and putting your money to its best use. Your kitchen is very nice, but I would agree that it could be made more efficient for cooking, which is something you, or Mr. FW, does often. We currently use a coat closet for our kitchen pantry just because it’s located right beside a back door in the kitchen that we never use. Works for us! Since we are moving next weekend, this article is very timely! The house we are moving into (newly renovated by landlord) is twice the size of our current place, so I know the temptation to fill it up with nice furniture will be there. However, I’m going to do my best to wait and let the house “tell” me what we need and where to put it when the time is right. I’ve lived in my home for 10 years and have only recently started doing wish list projects in the past 2 years. I did paint and put in new carpeting before I moved in because the old stuff was gross and in bad shape. And you’re right doing it while empty and without furniture to move around made both jobs easier and therefore cheaper. I’ve obviously done repairs as needed and I have replaced things like a warped sliding door that was so warpedthe bottom third had ice on the INSIDE during the winter. But otherwise I’ve left things alone becuase they work. Might not exactly what I want but it’s not worth the cost to do anything more. I am cosidering redoing my bathroom because it really doesn’t function like I want it to and it’s getting worse not better. So now I’m trying to make a list of needed changes versus wants and start specifically saving for the remodel. I can pay for it now but I want a special fund to pay for it. It will force me to not really rush into anything. Love this post! I spent 5 years in my house before redoing the original 1952 worn out kitchen and am very happy I did – this gave me ample time to determine what was really necessary in our day to day lives. As a temporary fix for the pantry situation might you relocate some seldom used items from the kitchen cabinets to the “pantry” and put often used pantry items in the cabinets instead? 2. I have lived in a lot of places (I am almost twice as old as you(! )and have never had overhead lights in a living room – have always just placed lamps around the room – a floor lamp here and there as well as regular lamps on tables – has always worked fine…am sure you can find another well priced lamp or two at yard sales or resale shops! Our little family of four (8 month old baby and pit bull) have recently inhabited a much bigger home than we previously resided in. Needless to say, we definitely did not have the furnishing we were “supposed” to have. My MIL kept pushing for me to buy a couch and friends would offer for us to borrow a couch (too much effort for something I don’t care about ). I was firm that our pod chairs were enough until I found the perfect furnishings for the cheapest while still being good quality. Lo and behold, this weekend I spotted exactly what I had been holding out for! I even talked the seller down from $500 to $250. A steal! The patience it takes to be a frugal weirdo pays off time and again. One must simply stand their ground and not give into peer pressure. We also have a large living room that has hardly anything in it. But the more room the better for a crawling and exploring little monkey! Love keeping up with you and your little frugal family! Well, we rent, which definitely reduces our feeling of needing to renovate! I love a good washer/dryer in a bathroom or even the kitchen in some cases – also makes it easy easier as the years pile on and stairs look less inviting. I agree completely with this article! As someone who built a home, the problem of “this sounds good in planning, but will I like living with it?” was a big one for us. I didn’t want to put money into a feature I would later regret or have to pay to change. One thing I would suggest there, is to do what we did, show the plans to family and friends whom you can trust will be honest, and ask them what they think. We got some good suggestions that I’m so glad we took. As far as moving into an existing place, my daughter is going through that currently. She and her husband bought a house built in the early 50’s with one owner for 99% of that time. The countertops are original with that metal edging, and very badly worn. Several chipped layers of paint on all the cabinets, broken bathroom tile, and the latest owner had only begun to renovate when ill-health forced him to sell. They bravely moved on in and are slowly remodeling as they can afford it and as they see they really need to do. I’m proud of them for taking their time and concentrating on what is a safety issue, then cosmetic, although that ugly kitchen with cabinets, walls and ceiling all painted the same bright, hideous color did get some early attention, for sanity’s sake. When we built our house, all our friends expected us to buy all new furniture — even though we’d been living in a place with the same amount of rooms as the new house, before. Why would we need all new? Some stuff needed to be replaced, so we did buy a few things, but not a whole houseful! Some of the furniture we did buy was used, anyway. I have a very eclectic décor, as they call it, and I like it that way. That’s funny about the laundry location, and I like that you included that in the post! Lovely post that I know I will return to frequently. I describe my decorating style as – big rooms with nothing much in them ! I love lots of empty space, wooden floors, windows without curtains/ blinds (no neighbours why bother ?) and like you have lots of ‘found’ and ‘given’ items. Ironically this type of minimalism is actually trendy, see scandinavian style blogs. I do think a well planned kitchen is one of life’s pleasures and can’t wait to see what you do in there. I’m so glad you included the floor caveat. I am SLOOOOW to settle into a new home. I moved two years ago and still haven’t figured out where I want to hang my art. I took a year and a half to find a new desk (but I did, and it’s from the 1940s and it was only sixty bucks and I LOVE it.) But if you can afford it, dealing with floors before the house is full of everything you own is completely worth it. It’s funny because we did renovate immediately, hahaha. We closed on our home back in September and broke ground that weekend. I know that goes against conventional wisdom, which does say you’re supposed to wait, but it’s difficult when you’re married to a very gung-ho architecture enthusiast. I think it’s okay to do some renovating before you move in. For example, we had to knock down walls during our renovation. I have asthma, so it wouldn’t have been possible for me to live in the house while this was going on. But I do agree that you discover little quirks once you live in a house. For example, we realized our dishwasher slams into our refrigerator. We didn’t account for this during our renovation, so we still have the same problem. Womp womp! Thanks for another inspiring post! This is such good advice, especially considering how expensive and involved home renovations can be! 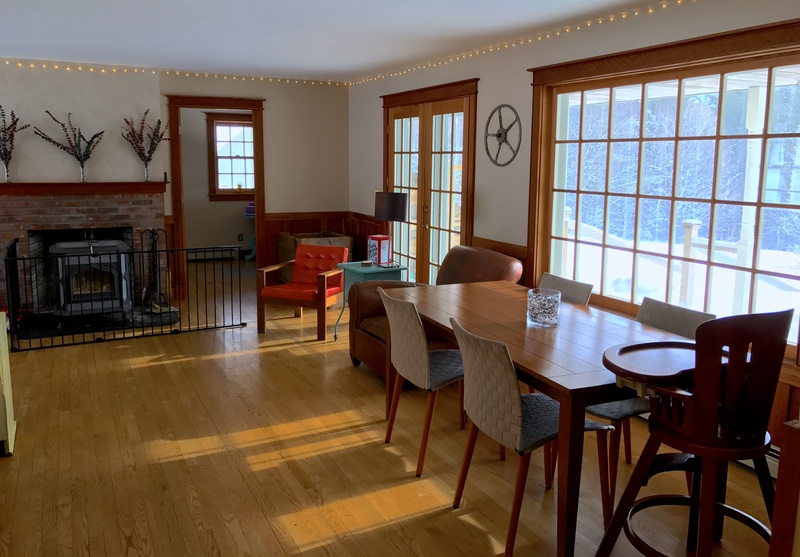 My girlfriend and I recently renovated our home, but the situation was a little different – we renovated the property first, in order to render it habitable, and then moved in when it was bare-minimum habitable, with plans to do more cosmetic changes at our leisure. Much like you and Mr. FW, we have discovered after only a couple of months of living here that some of the changes that we thought were screaming emergencies are actually totally unnecessary. We have some empty space that has yet to be filled and probably won’t. We have lots of mis-matched Craigslist and gifted furniture. And since we did most of the work ourselves (with occasional help from my Pops), yeah, there are imperfections. We love our wonky home, though, and are so grateful. Maybe eventually we’ll get around to adding those shelves to our kitchen! I second waiting before doing renovations! 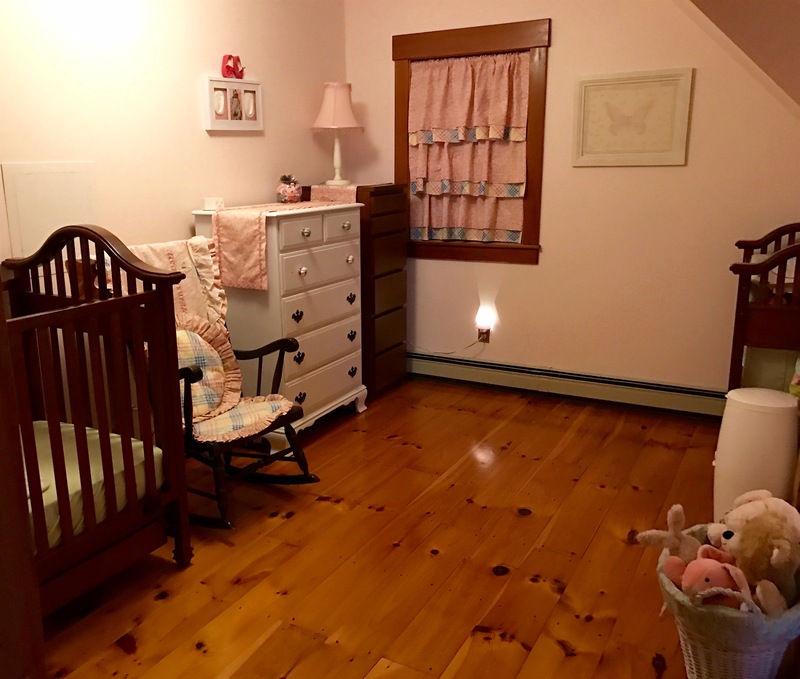 I had gotten the “wait a year before renovating” advice from a friend who is a realtor when we also moved into an old farmhouse with a baby a couple years ago. Big renovations weren’t a possibility when we first moved in anyway, since we were both short on funds and time. However, there were lots of little maintenance/repair type projects to keep us busy. The second year, the “big” project was cutting a second door for the upstairs bathroom through what had formerly been an exterior wall. It only had access through the master bedroom, and we knew our little one was going to need a door once she was potty trained. We are now in our third year and in the midst of our first big reno job – the downstairs bathroom. While it was probably the ugliest room in the house, it had been pretty low on our priority list as we moved in. Then, we discovered in our first winter that it was uninsulated, and the pipes would freeze. That shot it to the top of our list, a perspective we would not have had if we had tried to renovate right as we moved in. I love this. We moved about 6 months ago into a 1916 craftsman rental from our gross 1970s townhouse. I was SO excited to have more space, more than 3 windows, and more room for a garden. While we did spend a chunk at Ikea for things like curtains (necessary) and some odds and ends, we have outfitted most of our home in a Thrift Store meets New England Grandma style, which my husband and I find super charming. We have found some great treasures at our local thrift stores including many original Bob Ross style oil paintings, lots of wood frames we’ve repurposed, an amazing console stereo for $30 literally worth $2000 on the used-console-stereo market, and my favorite- a pair of nearly new, pea soup colored, crushed velvet his-and-hers armchairs from the 1960s. They must have been in someone’s “Good Living Room” covered with custom plastic covers for years and never used. We got the pair for $35 and use them daily! Thank you for highlighting the fact that great things for your home can be found/thrifted/hammy’d (my mom calls hand-me-downs ‘hammys’… haha! ), for little to no monetary outlay. I love your blog, I just discovered it a couple weeks ago and have been gobbling up as much as I can. 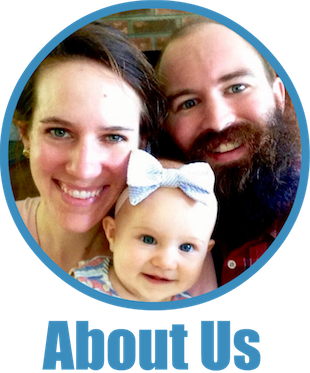 Doing all of this FI stuff is our favorite hobby and I love reading about your life and adventures with FI as well. I’m glad we aren’t the only Frugal Weirdos out there! I refer to our decorating style as “late college/ early Navy”. We still have furniture from this time frame, which makes it 20-30 years old. But now it’s mixed in with “stuff my husband has built” and “craigslist/ FB stuff” and “garage sale finds” plus one or two “overstock.com”. We have every “shade” of wood you can imagine. Animal painting plates!! Love it! I consider myself a fairly frugal person in most areas. I shop thrift stores, yard sales, follow a strict budget, rarely eat out, etc. We are recently retired and in our new home for almost two years. We saved heavily the last few years before retirement so we could have a large down payment, money for renovations, new furniture, etc. I actually went back to work and put all my earning in the “house” fund. We purchased a house that was in a great location with good bones and said we would live there at least six months before starting any renovations. The house was so dark I was depressed all winter. I couldn’t wait to get started! We installed skylights, French doors, painted walls, painted kitchen cabinets, installed hardwood, added to the deck, moved the laundry room, moved a few doors, etc. We stayed within the budget and we paid cash. We did spend a lot, but to me, it was so worth it. Our home looks like it could be on HGTV and it makes me smile just being in it. We spend tons of time at home and it feels like being on vacation most of the time (except when cleaning!). It was probably the most unfrugal thing I’ve done, but I am not sorry. It has brought us both a lot of joy. We also are able to entertain large numbers and host house guests (up to 17) multiple times a year. We needed to buy beds, etc to fill up the rooms! We have no debt except the mortgage, we have a new car that was paid in cash and an old car also paid for, we have savings, and we have a great pension which more than covers our needs and allows us to take several international vacations each year. However, I totally agree, if the money is needed for other things, then it should not be put toward renovations that are not truly needed. We are looking to do extensive remodeling at the end of the year. Our house is dark and in need of lots of TLC? Would you mind telling me how much your remodel cost? We are saving right now and know it’s going to be expensive. Just curious how much other people spend. We’re thinking around 80K. When we bought the house we currently live in, we were moving from a 600ish square foot one bedroom apartment in a city to a 2000ish square foot house in the suburbs. The house seemed like a giant yawning vacuum just begging for stuff to be put in it. This was my first time owning a home and I was so excited to do _something_ to change it, mostly because finally, finally I could. It was mine. Our realtor gave us good advice though – she said that we should move in and live it in for a while before we bought anything or changed anything, so that we understood the house before we changed it. She, like you, was right. We followed her advice and I am really glad we did. This is a great post! I really appreciate the concrete advice, but perhaps more important to me is the spirit of contrarianism to the current social media culture. It seems every time I open my feed, there are images of perfectly styled spaces- and if I’m not careful, the idea will creep in that everybody lives that way except my family. To appreciate rather than consume is such an important message and thanks for reminding me of it! I’ve been a reader of your blog for well over a year now and really like your advice, your pictures and your writing. Thank you! When we moved from a 1 room apt to a 5 room town house, we had intially 3 empty rooms, and it took 2 kids and 6 years before all the rooms were in use. We now live in a, by european standards, huge fixer upper – we may apply for replanning and sell the property as a site for 8 – 10 units, with the house planned for demolition. It is not an easy choice – we love the garden, but nobody wants gardens anymore and modern housing has a smaller footprint. In our town more than 60 % of all households are single person. It is easier, I think, to let go of the house since we have not invested too much in redecorations. Having said that, we have absolutely been targeted by friends and familiy because of our unwillingness to take part in the more standard home improvement race, our furniture is either inherited, trash picked or from jumble sales. Looking back I’ll have to say that for me personally, there has been times when I’ve felt we should have invested more in our lives. Our kids are now moved out, and with a demanding job and a retirement age at 70 or so, I can’t see myself spending more time at home than I have to. I feel that home for me is more a state of mind than a physical place, so with limited resources (time) I’d rather spend my down time recreating than redecorating. Good advice to sit on renovations for a while. My problem is I tend to procrastinate and renovations get moved to the bottom of my to do list. That tells you though that none of the renovations are imperative and can wait. We did a gut renovation to our house before moving in. We had 100 year-old plumbing and wiring that needed to go. What we thought would be a quick weekend project of removing some drop ceilings (word to the wise: when buying a home with drop ceilings, take a good look at what they are hiding) turned into walls coming down and an architect and an engineer showing up. We somehow managed to get the world-renowned architect’s services for free (don’t ask how, but we spent years catering events for him for very cheap as payback). -Do not attempt to live in a place you are gutting. We thought we might and are so glad we didn’t in retrospect. It was expensive to pay a mortgage and rent, but somehow we did it. -If you have plans to gut a space, do all the demolition in one go. The mess and filth are so pervasive. Wear safety glasses, respirators and gloves! -While walls are open do any upgrades and modernizations that you need. -Photograph your open walls and ceilings once rough work is done! So helpful in the future if you need to make any modifications to know exactly where plumbing/electrical/hvac are located. -Employ other people’s renovation mistakes to save money, Craigslist, etc. is a great source. I love our $80 claw foot tub. I laughed when our plumber didn’t want to install a salvaged sink because “we wouldn’t be satisfied with it” due to some small cracks in the glaze. Six years later, its fine! -Kitchen cabinets are the most gigantic ripoff on the face of the planet. We used a combination of open shelving, pegboard and our very favorite–Sears Craftsman tool chests for storage. Tool chests are made to hold heavy tools. The drawers have great action, they hold so much more in a smaller footprint than wood cabinets and are so much less expensive. We outfitted them with some bins from the Container Store and they are by far one of the best things we did in our house. We have our nine most used pots and pans hanging on the wall next to our stove on pegboard with their outlines traced a la Julia Child, convenient, functional and whimsical. We put our frequently used item on open shelves. Occasionally stuff that we don’t use as much gets grimy over time, but that’s what a dishwasher is for. Our kitchen has an industrial look, but we are pretty hard-core cooks. This was inspired by our friend telling us that she spent $30,000 on new kitchen cabinets, ack, no way! -One of my husband’s greatest hacks was with expensive closet organizing systems. The are great, but they cost a lot. The closet salespeople create designs using their software for your approval. He threw the salesperson a bone for their trouble and had them install the smallest closet. Then, using their designs, he sourced the same pieces they used at Home Depot and installed them himself in our bigger closets. -Glass shower enclosures are expensive but worth it. I love mine. A bathroom fan with a heater is really nice if you live in a cold climate, its not much more expensive than a regular fan. Great advice!!! If you’re willing to share, I’d love to see a photo of your kitchen since we’re considering any and all different possibilities for what will be a gut reno of our kitchen. Sure, shoot me an email. Oh, and the American Standard Cadet is a great inexpensive toilet! I COMPLETELY agree and love this post! I too bought a 115 year old house and had to gut it to make it livable (somehow the fabric insulated rag wire in the floor boards and the toilet falling through the kitchen ceiling were not things I could live with!) There are some choices I made that I would have done differently had I been able to live in the house first, but you live and learn. I am currently saving up to gut my kitchen- I painted the cabinets myself and replaced the appliances (the original oven was so old and unsafe the home inspector wouldn’t turn it on) but want to wait until I can pay cash to tear apart the kitchen and start fresh. I am starting my gut renovation in a couple of months. What were your learnings? Eager to get as many suggestions as possible! I redid the layout of my upstairs, and added a bed and a bath. I really wish that I had made my master bathroom a bit larger. What I did that REALLY helped was make a tape outline of where I wanted everything, then I pretended to move through my day and what I thought I would be doing in those rooms. If it started to feel tight, or I naturally turned a different direction for something (think doorknob, towel rack, etc) then I adjusted. I am in an old brick rowhouse with a limited footprint, so I wish I had used pocket doors instead of “normal” doors in some areas. I also wish I had exposed the brick walls and sealed them before I moved in- it looks amazing but is horribly messy to do after moving in. I wish I had put in more electrical outlets (add more than you think you will need!!) I did demolition myself to save money, but had a contractor come to do framing, eletrical, etc. Some important things I learned about hiring a contractor were that buying the finishing materials yourself can save you at least 20-30%. I bought my shower floors (Swanstone) off eBay. Also, some contractors or trades will give you a discount if you pay cash (3% off adds up). Home Depot and Lowes have coupons! (ask for a moving packet at the post office- there is a 20% off Lowes coupon that Home Depot will also honor. I used this for a bulk purchase, including my flooring, carpet, doors, etc and saved a lot). Many retailers have a scratch and dent or floor model appliances listed on their individual store pages or on the back of the sales floor. Sorry this reply got a bit long, but I think overall the thing I wish people told me before starting is that gut renos are HARD to DIY- especially in old houses where NOTHING is square or to code. There will be times you want to quit, when you get hurt, or when you wonder why on earth you started this enormous mess. At some point you will be sitting in the corner, going OMG what did I do?! Take pictures- you’ll look back at it later and be amazed at what you accomplished! Good Luck!! I just posted a general post on the subject. We did a full kitchen reno this summer and found that the price and quality is much better at local independents than big box. Shop around and ask friends. Our contractor came referred by the mortgage lady at the bank and Jeff is a one man job who does not advertise. I was able to work with him and save a lot. I gutted the old and did tha patching, etc. Contractor from Lowe’s would not allow homeowner work. Feel free to ask questions. I would love to see a picture of how you use the Sear Craftsman tool drawers in your kitchen, also love the point about cabinets being a big waste of money! Open shelving looks fine with decent organization! 1. We bought our house because we loved the hardwoods, why on earth would we cover them up with rugs? 2. We planned to renovate the bathrooms ASAP when we moved in. Good thing we didn’t because we ended up having to rip out a ton of diseased trees. Guess what is being done first? Replacjng the trees. After living here 2 years with the bathrooms we can survive another year or two while we save up money! I moved in over six years ago and go through phases every winter of wanting to update things. But ultimately, my house works just fine the way it is. In every other part of my life, I try to focus on respecting what I have (friendships, income, fresh food, a lovely bicycle) so it shouldn’t be different for my house. I love your attitude! That’s such a great way to think about it :). We are too busy! We’ve been in our house almost 13 years now. We did do *some* things immediately. #2 painted the entire house – the previous owner smoked like a chimney. ‘Nuff said. 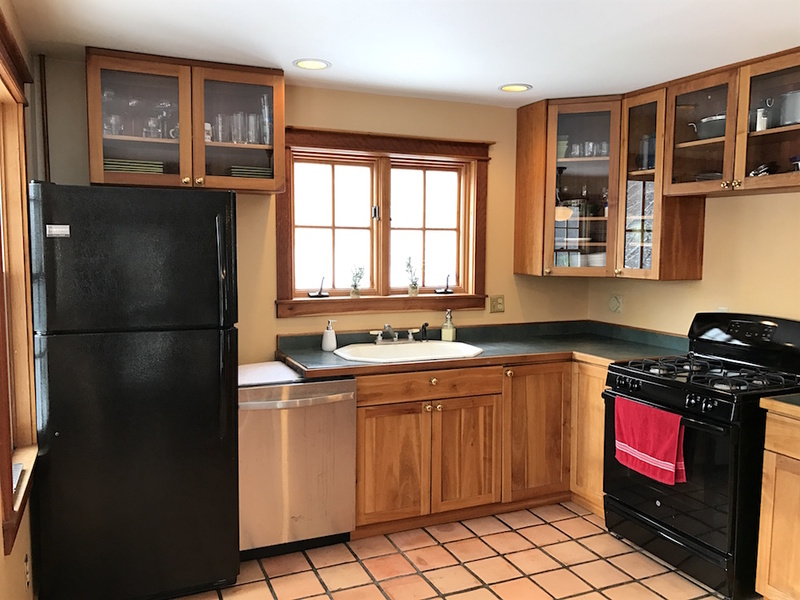 #3 kitchen – the kitchen is galley-style, and the outside wall had lower cabinets with sink (no dishwasher) and upper cabinets on either side of the window. That’s it. Opposite wall had no appliances or cabinets. So the kitchen my hubby built from scratch. We had a fridge already and bought a stove and had a plumber move the gas line. Then, we used tables as counter tops as he build cabinets to fit around the stove and fridge. Once that was done, he took out the cabinets on the sink side (they were only 22″ deep, not deep enough for a dishwasher), and put in new ones and a dishwasher. This all took quite awhile – and in fact, was not fully complete until at least 2 years later – I have proof of pics of us bathing our baby on plywood counters. Everything else – you gotta pace yourself. If you’ve got FT jobs and kids…you have no choice. The house was too cold with only a single wall heater. So we replaced it with central (already had central air…which was weird). That was year 2 or 3. Then we replaced the single pane windows and had the house insulated and painted (best to do it all at once). That was year 3 or 4. Backyard was done when the kid was 2. We basically picked 1 “big” thing each year for the first few years. Now that’s it’s been 13 – 2 years ago we replaced the roof. This year it’s going to be the sewer line. We’ve since repainted the living room a different color. Crikey. Just looked up Cactus Pete (should be mates with Texas Ted: Big hat, Big head). I see why you’d want to repaint that! Painting and replacing flooring are both a lot easier to do in an empty house. If you’re paying someone to do them, as many older people do, it’s also a lot cheaper as you don’t have to pay anyone to move furniture in and out. I agree. When I built my own teeny tiny house 17 years ago, for a range of reasons I didn’t paint the interior or lay flooring before moving in. There are still unpainted bits and the floor is still randomly varnished chipboard, which bugs me. However, without room to move furniture around while painting, without having a partner to help move the furniture anyway, and without funds to pay someone, I live with unfinished floors and walls. These are things I highly recommend doing before moving in. Love, love this post. We recently purchased our (1969) home a little over 16 months ago. When we bought the house we knew that we wanted to make some changes after all is still had the original pink tile in the main bathroom. And the previous owners in an attempt to update the kitchen counter tops painted them lovely sea foam green, that peels if you move something the wrong way. So besides painting the walls (with paint the previous owners left behind – thankfully they had better taste in colors for the wall then counter tops) and updating a few rooms with carpet. We have not touched a single thing. And I am so glad and thankful that we waited!!! Because as we begin to plan for the kitchen remodel (scheduled for early this summer). We now know exactly where we want to put drawers and cupboards, because we have been working in that space. And know no how to make it completely functional and efficient. When we go back and compare our kitchen design now compared to what we talked about in the beginning is completely different. I am super glad we waited because I think we may have regretted some of the decision had we done the kitchen remodel right away. Plus waiting has given us plenty of time to stalk; I mean watch Craigslist for items for the remodel (tile, gas range, etc.) We have scored some super cool deals on items from other people’s remodel s at a fraction of the price. Not to mention this allows us to be super picky. Great rule about waiting one year. I want to move into our rental duplex and there are a bunch of things I want to upgrade. I’m trying to upgrade now because I can write it off against the rental income. We’ll wait to remodel the kitchen, though. I’m of two minds on this post. I think it’s good advice for people who are just starting out and for people who have scraped together every dime just to get into the house. But on a seriously practical note, some jobs are better done before human beings are living there. When we bought our current great-room style home, the carpeted living room section was too small and the travertine dining room section too big. We ripped out two feet of travertine with a jackhammer and laid down new carpet. Now our 11′ consignment store dining room table with 12 chairs has plenty of room to breathe, as does our existing living room furniture. No way would that have been smart to do after we moved in. Of course, we paid cash for the house and all of the pre-move-in renovations. All of which we are happy with, four years later. Another perspective is when I bought my first condo. I hated the dark beams and worn beige carpet. Despite a tight budget, I had the cathedral ceilings painted white and replaced the carpet (required by the HOA) prior to move-in. I got to enjoy living in a beautiful, clean home from day one. When I sold it four years later, for more than double what I paid for it, I could still say the carpet and paint were updated. Don’t be silly with your money is great advice, but some things are still better done in advance, if finances allow. One size does not fit all. I love your posts. Our problem was a little opposite. When my husband and I were engaged, we couldn’t find a home to purchase – at all! Houses were being sold so fast, there wasn’t even time to put a sign in the yard. Out of frustration, we talked about building our home. I worked for a bank (lower employee mortgage rate) and my soon-to-be husband worked for a building supply company. Talk about a bonus! We found a small lot in a small subdivision and built a cute 1,100 sq ft house that we live in today. My husband’s boss gave us all the drywall as a wedding present! We have added a bedroom to the house after living here for five years but we intend to stay here permanently. We have so many friends that have purchased bigger and bigger homes and are now downsizing because their kids have moved out. Neither one of us had lived independently before moving into our home so after we had lived together in the house, it became obvious there were a few things we would have changed but have we done those things – nope! We were so scared of having a huge mortgage that we cut costs wherever we could. We’ve done a little painting and, of course, we added the addition but we are so happy here and we’re not moving. If I had any advice for people building a home – talk to others about things that they would have done if they could. Compare the list to your needs and go from there. Don’t buy into the “I have to do it now” talk. We bought a house in April of last year and immediately identified five changes we wanted to make, but getting the garden and fruiting plants in was the first priority since it takes a few years to reclaim new construction lot dirt and for the fruits to reach full production. So we renovated the yard first, considering edibles an investment. Now that we’ve lived here almost a year, the house renovations seem far less important than they did. Maybe we can live with that weird backdoor instead of putting a slider in. Lovely post, and as always reading the comments is just as entertaining and informative! We are hoping to buy our first home next year and I will certainly need to keep this rule in mind. It can be so tempting to try and make everything perfect right away, rather than letting it evolve into “perfect for you” rather than “picture perfect”. My husband and I were talking last week about how we would set up the rental townhouse we’ve lived in for the past two years differently now that we’ve lived in it and know what would give us the best function as a family. I will agree that main floor laundry is a wonderful thing for moms with young children to keep an eye on! I am admiring the many avocados you have! I watch house hunters, and I cringe at the changes people want to make. They’ll hate updated bathrooms because of their color or hate granite counter tops because of the color. It still works! And it’s updated! We are avocado fiends!! I really wish we could grow them up here because, between the three of us, we eat at least two per day. Yum! But expen$ive!! I lived with an utterly horrible blue bathroom for three years. It worked (functionally) but it was a miserable space to be in. When I had a new bathroom fitted, which I loved, what surprised me wasn’t the “I love it in here, now” feeling. I had anticipated that. The surprise was the absence of a sense of a burden. I had experienced that horrible room as a millstone and its renovation caused the weight to lift. Hi Denise! Yes, I understand having miserable spaces that are functional. Definitely update them! I’m more talking about those fancy homes on House Hunters that are obviously expensive, but then turn into gut renovations over the smallest thing. I’m glad you got a great bathroom! We will be selling our Houston condo in 2018 (delay for tax purposes). 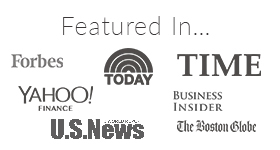 In January, I had a Dave Ramsey real estate Endorsed Local Provider (elp) come have a look. He knew the area and market and suggested less than I had imagined. But all that reno led me to a realization – the ones I’d had built I never did much to reno. I kept the paint fresh and did a little decorative fluffing but never renovated. And since we moved here for a very specific purpose that has to do with college assistance from the county, we built this one. After 12 years of reno? It becomes a habit. I get ideas now and then – hanging light fixture here, some accent trim there – but immediately say “NO! 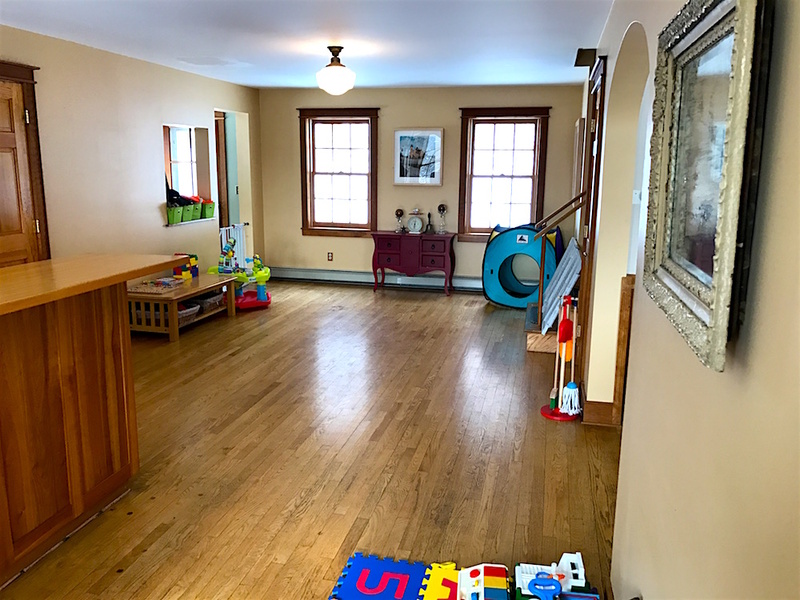 !” to myself (internally, it might freak the kids out if it was out loud), we built what we wanted and if I’ve lived without that fixture or trim for a year, I can do it for 11 more until we’re out of here. I’ll keep it up, but I won’t improve it. I did that with the other 2 houses I built and made good money when they were sold, without having to add up the cost of all the improvements to make sure I’d covered what I put into a house when pricing it to sell. Location (has to be a school district people want) is just right, hopefully in 11 more yrs it will still be. : ) Oh, and I stay out of Lowe’s. Doesn’t matter what my husband “needs” from there – last time it was soil for some flower pots we’re growing veg in – I don’t set foot in a home improvement store. I know myself too well! Love all your windows! Recently a friend posted pics of her newly renovated kitchen on fb. Immediately I went into envy mode and even created a Pinterest folder with kitchen reno ideas. lol Yes our kitchen needs work. But is it necessary right now? No. In fact its fine. It sure isn’t going to impress anyone but we have other important & less cosmetic things to do this year like replacing the old furnace & water heater. I’m glad I came to my senses and laughed at myself. My friend also makes twice as much as I do, so a kitchen reno is not going to happen any time soon and I wasn’t even thinking about it until I saw her nice, new kitchen. How would you deal with storing books / graphic novels and toys? My husband is a geek with a massive collection. He has already purged some items, but what’s left is still overwhelming. Add a toddler to the mix. I’m a minimalist myself so I don’t know how to handle all their stuff. Thank you for this post. I moved cross country 7 months ago and have experienced both sides of the update/spending money theme. 1. I had a new 6×10 foot wood porch/deck built over the old cement stairs. The stairs had sunk a couple issues and people, including me, would trip on the last step into the house. I love the deck and am so grateful I invested in. 2. On the other side, there is a weird area off my back porch that had rotten mulch in it. The area serves no purpose unless used as additional patio space, and blocks the way to the rest of the yard. I decided to live with it but asked a landscaper to replace the mulch with rocks. He put in pebbles instead of the rocks I asked for and now I can barely get the mower through that area to get to the front yard. And, it feels yucky everytime I look at it. If I had waited, I would have simply removed the mulch and added ground cover with a brick or flagstone path. I hurt my arm in a fall and it might be another year before I can move that rock and I’m not going to pay someone to do it. 3. I still don’t have my pictures on the wall, but I think I finally feel like I know where they are going. Just waiting for some help since they are large enough to need screws instead of nails. Now my money is having to go to either a water softener or a de-scaler since the water has clogged up faucets that were put in just a year ago and the previous owner put in a tankless water heater. I’m trying to figure my options out and hope I don’t make another one of those mistakes. It would be an expensive one. Despite being a reader of your blog for years now, I’ve never before commented. I am so happy with this article and philosophy. I follow a bunch of fashion blogs more out of habit than anything else at this point as a few years ago I implemented my own clothes buying ban and now have taken to learning to sew as the source of any potential new item that enters my life. But the blog I read before yours had a pre-renovations home tour of a house that is beautiful and pretty much perfect. Yet, they spend a whole video talking about how they are ripping everything out. It all seems so tragically wasteful. I appreciate living in a nice space but so often renovations are fairly unnecessary. If you are going to gut a place, buy a place that needs gutting and do what you can yourself. Otherwise learning to live with what you have has so many more merits. Thank you for this blog. It is such a refreshing corner of the internet! On furniture… after we had our first child I quit working outside the home and went to work from home for a former boss who had started his own company. I needed an office. After pricing some of those nice office-in-an-armoire things so that when work was done for the day, I could close the doors and that’s it, I was in sticker shock. But as we were patiently Craigslisting a coworker of hubby’s decided to sell his office-in-an-armoire. We got it for $100! We moved it 3 times and since it was not the most expensive thing to start with it was looking rough and the base was a little wonky. So hubby reinforced the base, stood it back up, we disassembled the shelves, doors, etc., primed and painted and then antiqued everything, and put it back together. It looks like a custom $1-2K piece of furniture now, and all the primer, paint, glaze and sealer only cost $100. So I have a $200 office. Best of all? His coworker threw in an awesome leather office chair for FREE those 10 years ago and it’s still in great shape! When we moved into our new home 9 years ago, I decided not to unpack a single chachke, knick knack, or candle until I had a clear idea of where to put them. Turns out, I didn’t have many surfaces on which to put them and furthermore, I did not miss those dust collectors! It still took a few years before I slowly brought out a small number of pretty things. The rest all went to the local thrift store. It was an awesome feeling to let go of those things. I also agree, empty spaces and minimalism are actually quite lovely: neat, clean, and easy to maintain. We built our home which left a few areas less than perfectly ideal and temporarily bereft of furniture due to budget constraints. That was fine though. 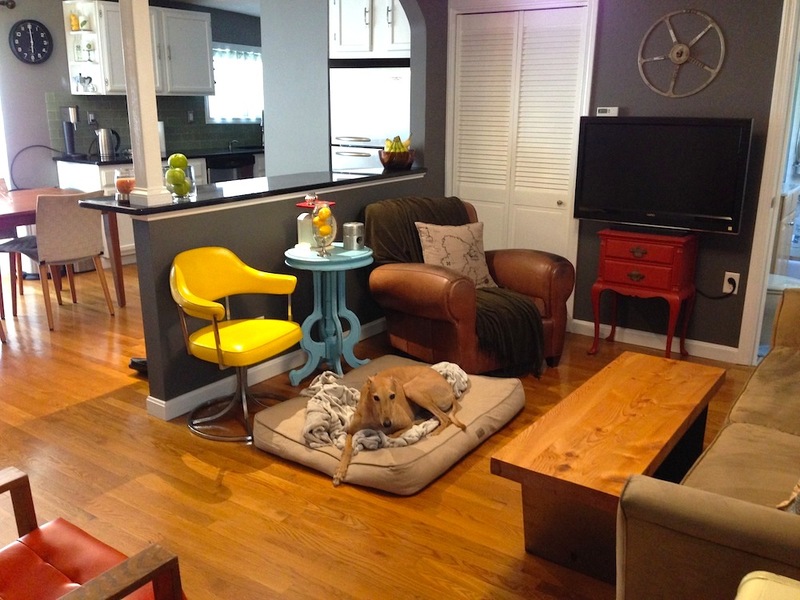 We took our sweet time on improvements and any furniture purchases. It’s still a work on progress. I think it would be boring to fill a home with all your wants all at once. What would be left to do then? Love your posts! That’s a great point on not filling all your wants at once! There really is something to be said for the delayed gratification of frugality. Thank you for sharing :)! We were definitely on the same page when moving into our first (and current) house. We brought in the furniture we already had (which wasn’t a ton considering we moved from apartment to apartment) and slowly added items to the different rooms. Our first purchase was a new couch for our living room. We did this fairly quickly after moving in, but we knew what we wanted and thought of it as a “moving in” present to ourselves. We still have it and love it 5 years later. Our next big purchase was going to be the dining room table, but that took a good 2-3 years. We searched for a while (partially because we didn’t know exactly what we wanted or where to get the best deal). We’re so happy we waited because we got exactly what we wanted and didn’t spend a fortune. It has been fun to move from room to room and focus on one area at a time. Now that we have musical bedrooms with little kid (soon to be kids) we have focused on those rooms. Again not spending a fortune, but practical with our purchases. Sometimes the culprits are magazines that tempt us to expensive decorating and building projects. The idea is to convince the consumers that we cannot be happy without the newest “look” and we fall for it too often. It takes frugal courage to dare to be happy with what we now have. A wise person once said that if you were dissatisfied to simply clean what you have. Wow has that been true for me! Is my old piano scratched? You bet! But it also glows with buffing and when my 93 year old mom plays “Anchors Aweigh” on it I glow as well. What a lovely vision, your mom playing Anchors Aweigh on your spiffed up piano! She is the dearest thing! And when I have moments of being critical of my house or possessions she will tell some fascinating true story about how her family contrived to enjoy life during the Great Depression. They were so poor there were no wooden chairs that still had backs and yet they would gather around the table and be grateful for their meal from the garden. Cleaning is a wonderful balm–you are so very right. I clean all the time and I find I take more pride in a home I’ve cleaned myself. True! And as you clean you feel a kind of affection for your less than perfect things. And gratitude…what if we woke up tomorrow with only those things we were thankful for today? I’ve got a nuisance issue: my Victorian apartment needs to be rewired and replumbed. Safety and practicality, so it really is a necessity to do it. But since moving in, in early January, I’ve discovered that the walls and floors permit noise transfer terribly. And the place is cold with those single-glazed double hung sash windows. Mission creep happening everywhere, but I’ve decided that the compromise of e.g. Not putting in acoustic and thermal insulation under the floorboards while all the floorboards are up anyway for the replumbing and rewiring, doesn’t make sense. My OK bathrooms also need to be removed to get wiring and plumbing sorted out (lead pipe work, for goodness’ sake). It doesn’t make sense to reinstall crappy old fittings, so – two new bathrooms, please. And the kitchen. It’s fine. Appliances need replacing as they are all misbehaving. But now the cabinetry has to be removed entirely for the electrics and water to be sorted out, and for a gas supply for a new hob to be installed…do I refit a kitchen that I don’t like (don’t dislike it either), with new built-in appliances and worksurfaces, or just throw a few thousand extra at it for new cupboards too? I love this post because I totally struggle with this. Luckily we don’t have cable so I only watch HGTV at the gym but I always have major house envy when I see gorgeous houses. We were given this same advice to wait though and now we have lived in our house for 2 years and we are starting to make improvements. Most of what we have done has been because something has annoyed us so much we finally caved and did it. Example: master bath toilet barely flushed. It would usually eventually flush but often my husband had to use the plunger. Our new toilet brings me joy every time I use it 🙂 Another one was our patio door. So old and drafty, we finally replaced it when it got stuck in a position that you couldn’t open it, but also couldn’t shut it enough to lock it. We’re moving on to some bigger projects like a new driveway and exterior painting. But we can pay cash for everything and I like to think of it as an investment that will raise the value of the property (it was built in 1949 and not renovated since the 1980’s). Also, sometimes I see people doing lots of renovations when they are planning to sell their house. I want to enjoy our renovations while we are living here, not do them at the last minute for someone else to enjoy! I have a different situation. I inherited a house and property. The property is gorgeous and in the shadow of the Blue Ridge Parkway. The house had basically good bones. However, my half-sister was mentally ill and a hoarder, as well as smoking 2-4 packs a day for 40 years! I had to clean out the basement because one the tasks she neglected was having the septic system pumped and it backed up and broke a pipe. DO NOT let your septic back up. The repair and pump cost me over 1K. My challenge has been cleaning out the place, saving what is worth saving and donating, selling and/or trashing the rest. I had to take out a home equity loan against the property to pay her bills (she was buying stuff to hoard rather than paying her medical and funeral bills) and to do some renovations and painting. Massive updating is just not in the budget. Between the furniture that was there and the furniture we already own, all I have bought is a few lamps for cheap at Habitat’s Restore and a storage bench from Target that was on sale. I have donated a heck of a lot of furniture to Restore and a local homeless ministry. I have given some to friends. My main overhauls have been cleaning, painting and new flooring. I got stick ’em tiles at Restore for one room and bamboo flooring at Floor and Decor for about $1.39 a square foot for two others. I bought some curtains on sale at Wayfair because the curtains in that house are too old and smoky to really reuse and I tell you, I have boxy valences like murder! Her bills have cost me several times more that what I spent on the renovations. My family cringes when they visit and see my orange fabric chairs but I have back problems and they are the only chairs I can sit in all day (I work from home) and still walk upright in the evening. Better yet, the chairs were free: I was leaving a former job and they asked me what I would miss the most. I jokingly replied that I loved all of them but the chairs are what I would miss. At my going away party I walked in to find four of the chairs, cleaned and topped with bows—my going away gift. I have used them for 20 years and they are still in great shape and I love them. This was a very timely article! My husband and I were just talking about staying to look for a place, and I think green or orange walls, pink sinks, etc…what do you do if you get a place with incredibly gaudy colors? I love what you said about waiting a year, and that everything doesn’t have to be full or matchy. I find myself falling into that trap as I don’t know many people who don’t have pristine TV perfect homes. Great reminder!! I totally agree with you. When we bought our house, there were so many upgrades we want to make to be more like our “dream” home. We pushed most of the upgrades out and are now doing “1 project” a year, starting from what we deem is the most important 🙂 We don’t have issues with empty space because our home is quite small, and we like the minimalist living style. Your home is absolutely gorgeous though! My husband and I live in Minneapolis in a small townhouse five miles from the city center. We bought this place as a foreclosure in an 8-unit association . We paid cash so have no mortgage. Since buying 7 years ago, three units have sold for twice our buying price! Before we moved in, the bank had hired contractors to paint and lay cheaper type carpet. We were just glad it was a very clean place! The kitchen was not too old (1985), but was quite beat up. Same for the bath-clean but beat up. We waited five years and did a complete gut and remodel, completely done by us, of the kitchen for about $4,600, using IKEA cabinets. We love it. Then we did a complete gut and remodel of our only bathroom for about $1000. Little by little, we changed all the doors to wood panels, painted white, painted all the walls in a unifying white we love, laid new flooring on the first floor etc. The last thing we did was to have quality Berber carpet installed upstairs and on the stairs. I am all for going slowly, deciding what you really like and paying only in cash! Also, be brave and tackle as much as you can by yourself. You will be surprised what you can do! Nicely done! How do you like your IKEA kitchen cabinets? We’re considering going that route for our eventual kitchen remodel. As an experienced buyer, when I see a home done in everything from HD or Lowe’s or an IKEA house, it just makes it too easy to value the cost of the improvements and adjust my interest/offer accordingly. I BRRR (Buy, renovate, rent, repeat) or flip houses for fun and profit. If you’re never going to move, that’s one thing, but statistically, most of us move at least once per decade. People are often surprised at how reasonable custom cabinets made from real wood can actually be. Please look for a local craftsman before you order kitchen or bath cabinets from any big box store. Our last house had originally had built in-place custom (1976) cabinetry. The boxes were fine but the doors we hideous. After lots of research we found an amazing carpenter who was able to build doors for the existing cabinet boxes and build a pantry to slide in place beside our refrigerator and be attached to the end of the cabinets above it. While he was building off site, I was cleaning, priming, and painting the cabinet boxes. When it all came together it looked like a brand new custom kitchen (we added crown molding to the top of the cabinets and covered the joint between the old cabinet and new pantry with – of all things – Bondo. Once it’s sanded, primed, and painted, it never moves. But I sincerely hope never to paint that much again. With a preschooler and a toddler that was only done late at night and I spent several long weeks very tired, LOL. We love our IKEA kitchen! A great product for DIY. I love all your tips. We are still renovating 23 or so years later. The kids needs always came first and I wouldn’t have had it any other way. Yes we did the things that were necessary (furnace, roofing) but the drywall in the master bedroom was not. The kids are now older and we are finally getting new drywall in our bedroom this week. A nice little anniversary present. I have also found that the big box stores is not the place to buy appliances. We totally redid the kitchen this summer and found that a private kitchen store was better quality and better price and the appliances also from a local independent dealer. We splurged on granite and again were referred to a small local guy who had the most amazing softly “flowing” granite which looks so much better than the printed look of so much from big box. It was also a lot cheaper than Lowe’s solid surfacing. What a beautiful home. The natural light is phenomenal! As for your kitchen I think it looks fine. 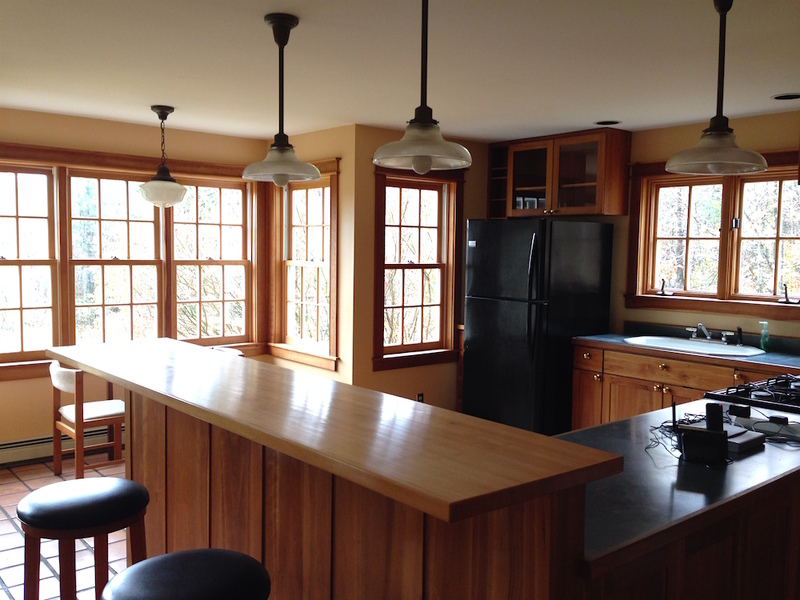 Maybe new counter tops new flooring and reworking the pantry…Easy redo. You have beautiful hardwood floors throughout the house. Babywoods and Frugal Hound have plenty of room to roam…. It just has a warm cozy vibe…..Good luck with the kitchen renovation. Thank you for this, I agree with everything here. I’m downsizing from 2600 sf, most of which is empty rooms, to 1000 sf with one small bathroom, I mention this b cause the bathroom has the hideous green and yellow tiles (gasp!) 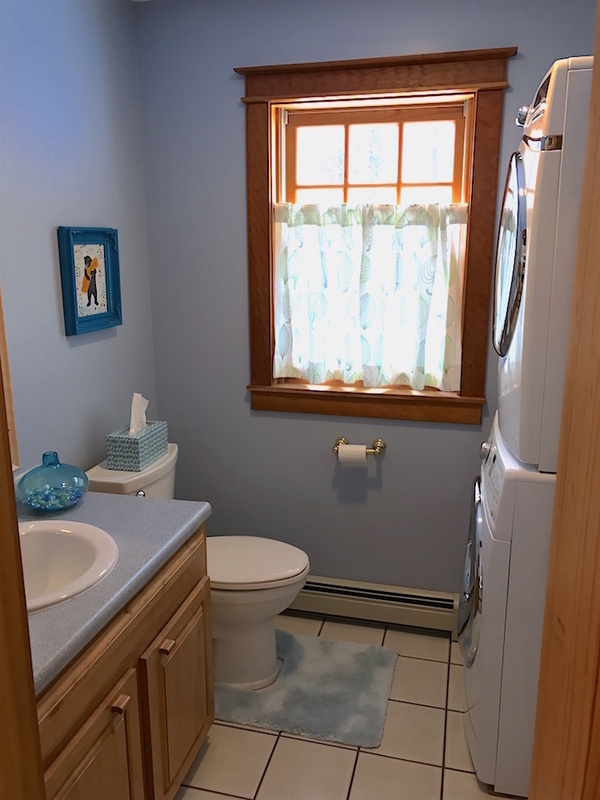 with a bright blue pedestal sink, probably the original fixtures from its built date 1956, but it passed home inspection and everything works just fine, so I will wait to rip out to choose what I really like, not just impulsively buy. Even after moving all my stuff in, I still have one (den) room that is completely empty aside from collecting empty moving boxes till recycle day. It irks me to think about all that money wasted in cleaning, heating and cooling empty unused rooms in these newly built homes. I plan to use every square inch of my new(older) smaller for function, coziness and livability. Also, the yard I’m going into is waaay smaller, i don’t like yard work or cutting grass (ugh). Why did I pay for something to be cut, only for that crap to grow back again?? And again?? I could go on and on, but I think you get my drift. I soo much enjoy your site, Best regards to you and the family!! When we bought our current home almost 6 years ago, it was a given that we were going to remodel. I not so fondly called it “That 70’s House” because it seemed to contain every awful decorating and design idea of that decade. Why did we buy this house? It was priced much lower than comparable homes (for a reason), it was on a really nice lake, it had “good bones” – and we knew we had the skills to do much of the reno ourselves. 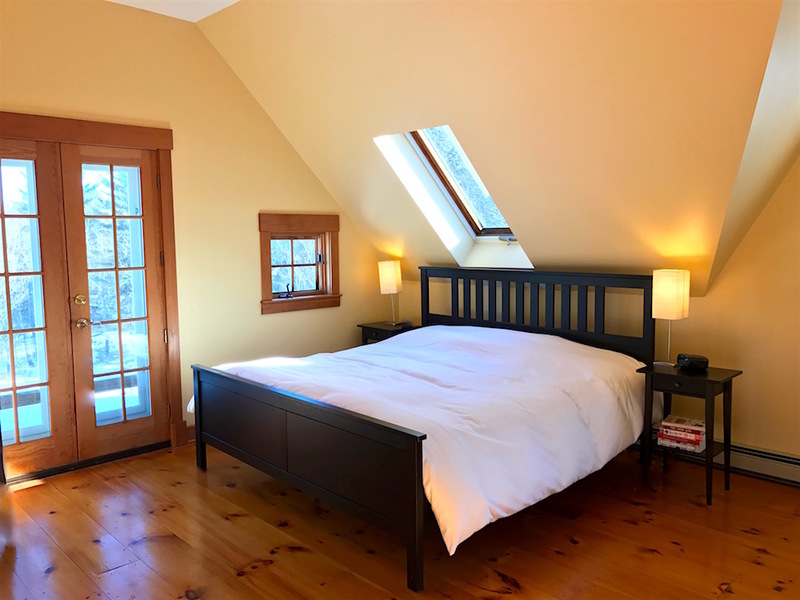 We’d renovated our prior home, and my husband grew up in a family where darn near everyone was in some form of building/construction trade – he worked 30+ years in one of those trades himself. Our realtor gave us a great piece of advice. “Do NOT do any major/structural renovation until you’ve actually lived in the house for a full year.” We knew she spoke from personal experience. It was hard advice to follow – those brown flowers on the linoleum floors throughout seemed to be mocking me every time I looked down. But with one exception, we did wait. The exception came about the first month, when shower tiles began raining down on us along with the hot water. Oh, and the faucet locked itself in the “on” position. So we had a pretty, updated bathroom the first year while living with 70’s colors in the rest of the house. When I got discouraged, I’d look around the bathroom and think “someday the rest of the house will be pretty, too.” It was a long first year. But I’m so glad we waited, because if we hadn’t I know we would have regretted it. Due to the small living room, we’d originally planned to convert the workshop on the other side of the two-way fireplace to an extension of the living room. A year of actually living in the house – hosting many family and friends for visits – made us rethink our plans. A huge living room but only two small bedrooms (and one full bath) didn’t make a lot of sense for us – and probably wouldn’t make sense for any future buyers either. Instead, we combined the space from the workshop, powder room and laundry room to make a master suite. The living room is still too small, but there was a fixed up family room on the lower walkout level which we had initially dismissed because…well, it was so ugly. Eventually, we reconfigured and updated it to make a huge second living room. Right off the family room was a small room that contained a giant hot tub…make that a giant PINK hot tub…and nothing else. The pink hot tub was dispatched to the dump because no one wants a second-hand pink hot tub, trust me on this. The former hot tub room was converted into a pretty and spacious powder room. This eliminated the one problem of the second living room – that there were no bathroom facilities on that level. After 5 years of living here full-time, we are FINALLY in the home stretch when in comes to renovations. It would have been nice to have everything done to our wishes immediately, but even doing things ourselves it would have been cost-prohibitive to do it all at once. Spacing all the renovations out over five years kept much of our savings intact. I still walk around saying “I can’t believe this is our house! I never dreamed we’d have a house like this.” While I would have argued this point with you five years ago, I can honestly say now that for us, it was absolutely worth the wait. I would have to say though, if you plan on painting and you have the time to do it before moving in, do it! Also installing carpet or redoing the flooring if you have ugly floors that don’t necessarily have to be done. We never actually put in the carpet I always wanted the 9 years we lived in our home because we said we’d do it later. Well it was more of a pain to move our bed and dresser so we lived with this horrible ugly brown tile and I hated that room. We did paint before we moved in which made it better (then we repainted when we wanted to change the color and moving the bed was no fun!) So other than things that will be a pain to do later I totally agree with this article. We still have (mostly) things we brought from our old house and we’ve been here for a year. I still want a new couch but I can wait for a great deal. I also said I wanted a new bed frame but now that our old one is in, its fine! We waited a year to buy my son a bed frame (slept on a mattress on the floor for a year) because I wanted to find the perfect one and lo and behold, we found a clearance one (we had to do some minor fixes to it) for half off and it was the exact one we wanted!! Thanks for this article, it helped me to realize that I don’t need a HGTV house! Great advice! We have been living in our house for about 5 years and aside from pulling up some hideously old and ugly carpet on our stairs, we didn’t do anything else indoors (I did start immediately adding gardens to our boring backyard). I’m so glad that I also imposed a buying hold period because we eventually ended up using a few of our rooms in a different way that I had envisioned when we first moved in. For example, our sunroom is now our bike/plant room. It is always a little messy, but the table and chairs I wanted to put would have just accumulated junk on top of them and never been used for their intended purpose. More recently, I had noticed that our home had accumulated so much stuff everywhere. I went through a major decluttering effort and donated, recycled, composted, or got rid of over 50 bags of stuff. We now have open space in several of our rooms that I absolutely love. Our house feels so much more open and relaxing than it did before. Decluttering was also a great way of reaffirming my desire to live more simply with less stuff. Did you get a new camera lens Mrs. Frugalwoods? The photos in this post are so much wider. I don’t think we’ve seen as much of the interior of your house before. It’s all relative as they say. You think your kitchen is awful? I’d kill for that kitchen: I will trade you my 1972 Loving Hands at Home remodel, any day! Plastic green counterops? Oh yeah baby. I have these awful 1972 plastic faux marble countertops, that will NOT DRY when you wipe them. So, 3/4 times a day, it is wipe or spray followed by using a cleaning rag to dry them. Horrid! I have cabinets that are facades: they were built out of plastic-y paneling that is a front only. With all 3 drawers in my kitchen, I have resorted to hanging whisks, etc. I did get an estimate on redoing everything-including the super cool floor that is so old the finish is worn off, so I have to hand scrub it (😟). Yes, for $30,000 I too can rival anything that Vern Yip dreams up. Uh……no. I keep reminding myself, the roof over my head is paid for, with a brand new furnace & air conditioner. I can cook gourmet, the Spaniels still adore me, and I am not spending that kind of money. Now, have I mentioned avocado green bathroom amenities? Yes, I have the full suite in each bathroom: tub, sink, and toilet. (God help me). You and I are on the same page; the Old Decor Police have yet to bang on my door! PS-Maybe it is just because I have dogs, but I find that outdoor patio rugs do real well in a house, if you must have a rug. You can rug clean them, but I usually just hose them off! I bought my house in 2014 and just a few weeks ago bought two unfinished kitchen cabinets for $238. I have have no kitchen cabinets nor countertops. I have used the top of the stove and a little table as countertops. So, I would love to have had an old kitchen cabinets and countertops…lol. I think this is great advice on waiting to renovate to know your house better and how you use it.. But there is another reason in my area to weigh the pros and cons of extensive renovation and that is the possible increase in your property value resulting in a property tax increase. Where I live your home property value is reassessed every year. The increase is dependent on the the current market for homes in the area, and takes into consideration if the home has been updated. We are paying higher taxes for the past 12 years for a previous owners 1980’s partial renovations (home built in 1962). When we presented the information that those renovations are so old & took pics for the county – they just put the renovation date in the record as the year before we bought! (Frustrating but no way to prove otherwise). So every year we submit pics of our non-updated bathrooms and kitchen to keep our property taxes realistic with the condition of the home. And luckily the old kitchen formica countertops are white so not too difficult to live with. We did replace the 1960’s oven when it died, but the tax assessor doesn’t count upgraded appliances as those are considered normal repair. So the difficult to clean 1960’s coil top stove also got replaced but that took about 8 years for us to finally decide we’d had enough! Someone liked it though as when we put it out on the curb it was snatched up in about 5 minutes. Just another example of how frugality has made our lives happier and less stressful. We moved into our house 3 three years ago. We did a few semi-urgent repairs (garage door opener, bathroom fan) and painted one bedroom (it was a really awful pink color when we moved in). After that we just made it homey with the stuff we already had. We love our house with all its dated finishes and also love that we aren’t constantly stressing about remodels and making it perfect. We did paint the exterior last summer and are very happy with the results. We have our eye on a bathroom remodel next. It’s so fun to dream and not be a rush. We moved into a new house recently. I find moving and unpacking to be a headache, so the last thing i want to do is paint. We fixed one or two things that were breaking/on the verge of breaking, and now we’re so adjusted to our routines here, that things are fine! If you need diapers/training pants, Target has a $20 gift card deal if you buy $75 worth. The expression “bide your time” has proven to be a lucrative way of getting what we want. Our designer table and dining room chairs happened when I accidentally passed an very small second hand shop and trough the windows I saw the chairs piled up. After a brief negotiation he was happy to sell them for a fraction of the original price. These chairs and table is still in production. Fridge and freezer and dishwasher from a good brand for half the price as they were demos (but never used) at a kitchen store. Also our sofa and lounge chair was a real find from the Swedish equivalent to Craigslist. I never imagined buying a used sofa! The used gross things you know :-). But we are so happy we took the chance. Love the sofa, just a few years old and washable fabric all over! So the main thing for us to get exactly what we want for half price or less, is to keep our eyes open, look out for sales of demos and, yes you guessed it, bide our time. By the way, I love your stories mrs F! Installing sconces/overhead lights does not have to be THAT involved/expensive, at least if you are the type of person who installs a washing machine where the was none before! The involved part is usually the fixing old wiring (and you have a relatively new house that probably shouldn’t have too many electrical problems,?) and patching up holes from where you took out old lights (but you don’t have to worry about that). If you want a fancy chandelier, I guess that will be either expensive or take a long time to find a good deal. One expensive part is often buying equipment (multimeter if you don’t have it, electrical cable fishing equipment, stud finder, hole saw attachment for drill) and a roll of electrical cable, but then you get to keep all the tools and use the cable for future projects. This is a great post, and I really enjoy seeing so many like-minded people in the comments! We bought a house that is much bigger than we need right now, because we got a great deal and will most definitely need the room in a few years! We get lots of comments about our table-less dining room, empty bedroom, and sparse living room, but I try my best to remember that it doesn’t bother me until I hear others mention it! We allowed ourselves to furnish and outfit the 3-4 rooms that we use every day, and filled the others with random things that need space (dog crate, bookshelves). I like that the dining room is a big empty space to play tug with the dog! Much more appropriate for our lifestyle right now than a second, more formal table would be. I have been eagerly awaiting garage sale season to start perusing with my wish-list in hand! We’re house hunting right now and making our lists of things to renovate for each place to include that in our calculations. We have to assume that every one will require SOME work but the first thing we do is make that list, and the second thing we do is put a timeline on it. We can pick one thing that MUST be done before we move in, but no more than three things we’ll do in the next two or three years, and definitely not before the first year is up. It’s usually the kitchen as in the case of at least one property we’ve seen recently, but that’s the only place that’s important enough to us because we spend a ton of time in there together, cooking and playing with the baby, and that’s been the case since before the baby came along. I LOVE empty spaces so I want to enjoy that for a good long while before we consider any new furniture, and happily PiC has agreed to that as well. I bought my very cheap, small house in a sketchy neighborhood in 2014. I have put a new metal roof on it ($2,000), a couple of months after I bought it, because of a leak, and then bought two unfinished oak cabinets a few weeks ago for $238, that are just sitting there. Why? Because I needed to help my kids out with their rather severe medical issues, and painting and installing the cabinets can wait. Shrug…I am not trying to impress anyone. Hi! I loved reading your posts last fall. You inspired me to cut my own hair and I love it so much! It turned out so much better than spending hours and $$$ in a salon. Plus I use henna instead of highlights and get so many comments :). Comes out to about $12 a month. Reading over your expenses from February and I then added ours up and was quite encouraged! We could make it on one income. Currently are aggressively paying down debt from a business venture that we chose not to continue throwing money and our marriage away on. It could be rolled over into our mortgage, but I’d rather pay it off faster and be painfully away of that choice until it is gone. Thank you! I’ve spent some time re-examining our life. It can be hard in a neighborhood where houses are being torn down to build bigger ones, but by living frugally we gave our daughter a safe neighborhood and a great school system well beyond our income at the time. I am looking forward to the day where we are working because we want to and not because we have to. By my calculation it will be in three years. In two years our daughter is done med school and after that we can accelerate the debt payments even more thanks to the freed up tuition money. Thanks again! Two of our three bedrooms were empty after we moved in to our house in NC in 2005. One held the litter boxes and the other bad/tacky wallpaper and two bookcases. These were rooms intended for children, if we had any. We have not. In 2010 I redid the first bedroom into my office with a desk and a chair and two more bookshelves for my birthday. In 2011, I redid the second bedroom into a room for my parents to stay in when they make their non- infrequent trips which are often months in duration. We’d sold most of our furniture when we moved to NC from CA and we slept on the floor on a mattress for two years before we bought a new bed and mattress set. And then we used our mattress and box spring in my parent’s room. I think it lasted 17 years until it was replaced. I ascribe to the 72 hour waiting period. Right now I am crushing on a stick vacuum for our hardwoods on the main floor because I hate to sweep, I do it, but I hate it. It’s been two weeks and I’ve decided that, although I could go out and pay cash right this second, I will put aside money every paycheck for two more months and if I still desire the new stick vacuum I will go out and purchase one. I’m a fan of delayed gratification. How else are you going to decide if you really want something? I love this advice! You are so right. If you wait, and the emotional impulse dies down, you can start to sort through what is really a priority to you. We had that with a dining room table. We bought a damaged one at a thrift store for $75. We did this because we had ideas about my making a grand table expandable to entertain 12 guests. So we bought the $75 for a temporary place to eat. Now it’s about 8 years later, and we are still using the temporary table! And all the things we really cared about, the family meals, the entertaining, the game playing, etc., they have all happened without any restrictions on that temporary table! Once you wait whatever period you choose, then ask yourself, does this really align with my goals/values? You would be surprised what you can do without. The simpler way is the most beautiful way. The way you maintained your house was really great. Whatever the plans you made before going in, but the change in your plans and priorities according to the necessity made your house look great. The way you organized the things in every room leaving the remaining space empty made the space look so peaceful. May I ask why you do not have any rugs in your home? Do you consider them unnecessary or just have not found the right ones yet in your hunt for used decor? I love your floors, but just curious. Rugs ARE expensive! I just think rugs are unnecessary–more to clean, more to mess with, more to trip over :). When thinking about redoing your kitchen cabinets – try the shops that contractors go to. We are building our house and that is what we did. They will sometimes complete homeowner jobs in the off-season. We are getting high quality custom wood cabinets for less than half of what the cabinetry shops that cater to homeowners quoted us. They are cheaper (in price) than any semi-custom cabinets from the big box stores and not much more than Ikea. I find this especially useful for landscaping! I always wait for a full year of growth to see what the previous owners planted. This is especially topical now as spring blooms start poking out of the ground. I know you’ve been wanting to do up your kitchen for a while (and I don’t live in it), but I think it looks lovely the way it is! Great to know I’m not the only one lighting with Christmas lights! Mine are from IKEA, and they’re not marketed as such, but that’s exactly what they are. I’m in a small open apartment and have a chain running below a ‘bar counter’ that lights the kitchen counters and adjacent living room. Not just cheap to buy, also very cheap to run which was my original motivation for trying out that chain light. For the wattage, it seems to spread light further than if I had a single bulb. I’ve been thinking for a while to add another chain to the ceiling like you have and same in the bathroom, but it’s been a couple years now and haven’t felt the pressing need for them still! Another thought, when you finally do pull the trigger on a renovation, is the sustainability of the design. Classic looks, especially in a kitchen or bathroom, do not need to be remodeled ten years later. Classic white bathrooms never go out of style and you can always accessorize. If you see anything “stylish” at a big box store, just back up and walk away, it is there cause it has already jumped the shark. I renovated my basement with laminate flooring and now after a year I’m kicking myself because I jumped the gun too quick on the project. Our cat lives in that room and the floor is always a mess and she leaves hairball stains quite often which make the for look terrible. I should have bought a pack of the flooring and left it’s on the ground as a test for a few months to see how it held up and how our cat treated it before spending the time and money on the renovation. Lesson learned! I could not agree more, not just for all the reasons you gave, but I also find that WITHOUT FAIL, I tend to hit upon design solutions which are not just way better, but also significantly cheaper, when I wait a while. I so much love to watch my own mind in its creative processes along the way, that I don’t want to spoil the fun by rushing out and buying stuff. Or as Marcel Proust says (in the second volume of In Search of Lost Time), every “although” has a “because” buried underneath. In my case, it is not although interior design is important to me that I wait, but because it is. At my age (over65) and a first time homebuyer I don’t have the pleasure of time. I did hire contractors to gut the kitchen and the cost is high without custom cabinets. I do cook and bake very often so appliances were also mega bucks. Next I picked carpet for 2 bedrooms and an area rug for 1 bedroom. In the sort of near future the 3 bathrooms will be remodeled, area rugs will be purchased for the dining room, living room and large hall. In my 65+ years I’ve cleaned enough bathrooms, kitchens, carpet, installed windows, cleaned windows, pulled up carpet and padding, took off wallpaper, hung wallpaper and painted. Now I scheduled a company that will clean 3 horrid bathrooms, wash windows, and clean radiators. Onto new closet interiors and doors. I still don’t know the color paint I prefer, but I won’t be painting. My first house was move-in ready, purchased from a contractor who flipped it. Fully renovated, everything brand new, everything stale and boring. I watched my new neighbors move into the foreclosure across the street with envy as they tackled project after project. About 7 years into living there, we decided to turn the front porch into usable living space. Of course, being Captain DIY and all, it was done by me with the help of my carpenter father-in-law. Six months after we finished the reno, we sold the house and moved to a serious fixer-upper just up the street. We got an extra bedroom (perfect timing, as our second was getting too big to share a room with us) and a much bigger and quieter yard for about $30k less than we paid for the first house! We bought the new house before we sold the old one, and the following six weeks were spent removing and replacing the entire kitchen and bathroom and putting in new pine floors throughout. We’re glad we did it then, because the house was really gross. Like, the bathroom was carpeted kind of gross. That’s my story, and I really enjoyed reading yours! Thanks for sharing!